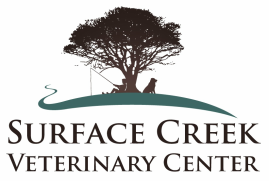 We offer up to date care for your animals, including in-house laboratory testing, CO2 laser surgery, and digital radiography. We are a full service surgical and medical facility. Vaccinations and examinations are performed Monday through Saturday. We recommend and perform routine dental procedures and geriatric check ups. Farm or ranch visits can be scheduled for your livestock, and we do emergency procedures as well as preventative medicine and routine care. We would be happy to discuss your vaccination protocols and work with you to maximize your herd's productivity and health.